I’ve seen a lot of iPhone users asking how to fix cellular data, iMessage after iOS 10 jailbreak. Actually, the jailbreak complaints are far beyond this. FaceTime not working, Cydia crashes, LTE not loading anything are all common issues on Jailbreak devices. Here we are going to list the top iPhone jail breaking problems on iOS 10 and the fixes with detailed steps. Cellular data, iMessage and FaceTime not working on iOS 10 jailbreak devices has been the most frequently discussed issue. This is really not a server problem and can be fixed with the steps below. Open Cydia on your iPhone and install MTerminal from Bigboss repo. After that, install OpenSSH from Cydia’s default repository. Now go to Settings -> Wi-Fi, view the preferences of connected Wi-Fi network to get the IP-address, make of note of it. Then launch MTerminal and type “su”. Enter “alphine” as the password if it prompts. Type “ssh [email protected][IP address” and then press enter. Then type the following commands one by one. Reboot your device and check the apps on your iPhone to check if it works now. Many people encountered this issue after downloading some tweaks on Cydia. Try to hard restart your iPhone and it will work. For iPhone 7 and iPhone 7 Plus, hold and press the Power button and Volume down button until the Apple logo appears. For iPhone 6s and older devices, hold and press the Power button and Home button to reboot. 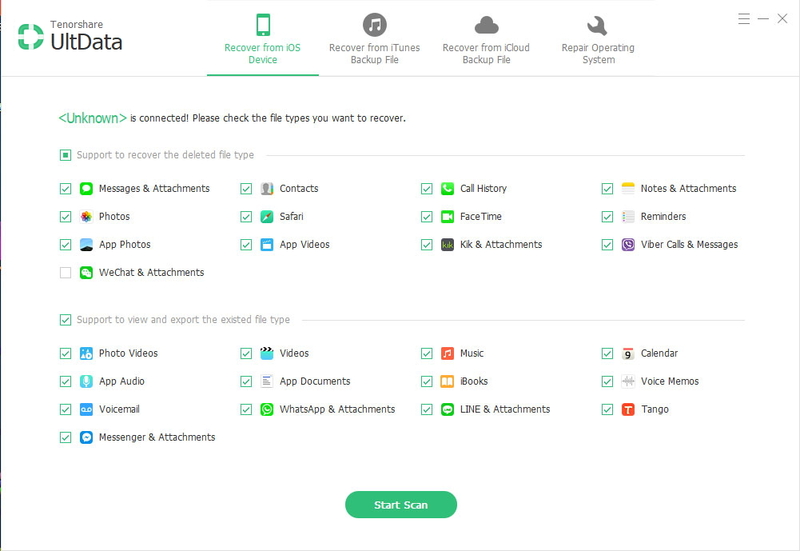 Note: When a force restart failed to fix Apple logo stuck on your iPhone or iPad, you can try Any iOS System Repair (ReiBoot), a professional iOS system recovery tool to get iPhone out of Apple logo, recovery mode, reboot loop and other stuck after jailbreak easily and safely. Restart your iPhone just like part 2. If your iOS device is still stuck, reboot it again. Open Yalu jailbreak app and press “go”, hold the volume up button until the device restarts. Within seconds, your iPhone will be in No Substrate Mode. Go to Home screen and open Cydia. Search for the tweak that is causing the boot loop issue. You can also delete the tweaks one by one until the device is back to normal. Reboot your device and jailbreak it again. Cydia crashing or not opening after iOS 10 jailbreak is another common issue and can be fixed simply.Download and open “yalu 102” app on your iPhone and then tap on “go”, your device will respring. After seconds, press Home button to open your device and then run Cydia, it will work as normal. Many users have seen this problem popping up on their iPhone after iOS 10.1/10.2 jailbreak. The fixing steps are a little long and requiring some technical knowledge, but still pretty simple. Download all the necessary tools: iFunBox, allow you to edit iOS file system. “Cydia Fix”, which is used to unzip the files, and Cydia Impactor tool. Connect iPhone to computer and run iFunBox, find “iBooks” and open it. In the “Cydia Fix” folder, drag the “lib” fold to the iBooks. Launch “Cydia Impactor” and drag the “MobileTerminal.ipa” folder from “Cydia Fix” to it. Cydia Impactor will ask for your Apple ID and password. Enter the information and it will start install the IPA file. When the installation completes, go to Settings -> General -> Profiles & Device Management, open the profile labeled with your Apple ID and press “Trust”. Go back to the Home screen and launch “Mobile Terminal”, type in the following commands in the command line interface. iOS 10 jailbreak breaks location service is also an annoying issue complained by many users, here’s a simple fix that may help. Go to Settings -> General -> Reset -> Reset Network Settings. When the resetting is done, turn on the “Location Services” again to check if it works. If it fails, you may need to restart iPhone and re-jailbreak. This error usually occurs when you try to re-jailbreak iPhone or iPad. Here are some fixes that you can try to fix “Failed, Retry” error in Yalu. Close all open application and launch “yalu 102” application, wait for 10 seconds and tap “go”. If you see the error, restart your device and launch “yalu 102” again, wait a minute and close it. Start it again and tap go. Download PanGu jailbreak tool on Windows computer but cannot open it? Well, in this case, restart your computer and run it again. Also, make sure the PanGu tool is allowed to access through your firewall. I’ve seen post on Reddit the jailbreak stuck at 90% during the process and they got this issue fixed by jailbreaking again. But this time, when prompted to open PanGu app, open Photos app first. If you are using PanGu tool for jailbreak and the Apple ID is not accepted, you can either turn off two-factor authentication in iCloud settings or use a jailbreak method that does not require a PC to complete it. This article lists 10 most common iPhone iOS 10 jailbreak problems and solutions, hope you can get help from here. If you have any further questions, you are always welcomed to contact us by leaving a comment below.